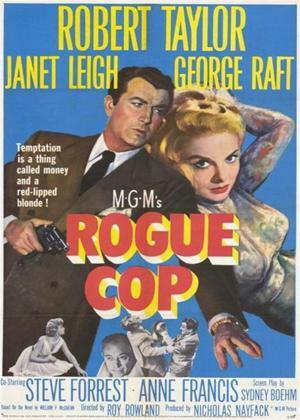 Robert Taylor, Janet Leigh, George Raft et al. Crooked cop Christopher Kelvaney has been on the take for so long that all the backstreet thugs and shady politicians in town know they can buy their way out of trouble any time. Then Kelvaney's straight-arrow little brother, Eddie joins the force, but refuses to get paid off in return for keeping quiet after he witnesses a mob shootout. When crime boss Dan Beaumont orders a retaliatory hit, Kelvaney must clean up the mess.